College student Courtney Ingram is helping local people in crisis by volunteering at Barnsley Food Bank. 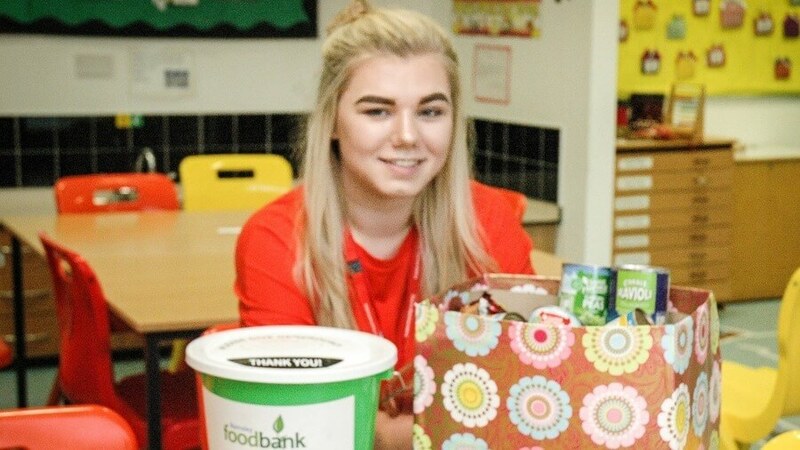 Courtney, 18, of Brampton, works in Barnsley Food Bank’s warehouse in Wombwell, arranging donated food which is then sent out to people across the borough. The Childcare student is also leading a fundraising project to support the food bank and ensure people in need of emergency food supplies continue to benefit from it. Courtney said: “I work in the food bank as I want to give something back to people who are in need of support. The food bank does a great job and it is rewarding to be part of a team of people who are committed to helping others.